MBBS, FACRRM, DRANZCOG Dr Ian Taylor graduated in medicine from UWA in 1980, and after post graduate training at Fremantle Hospital, moved with his wife Diane and their small children to Geraldton to join the GMG in 1984 “for a few years”. Thirty years later, they are still here except the kids have grown up and now all live in Perth! In their 30 + years in Geraldton, Ian and Di have seen enormous growth to the town and the Geraldton Medical Group, and are proud to call themselves country folks, and in particular, Geraldtonians! Dr Taylor is a Fellow of the Australian College of Remote and Rural Medicine and holds a Diploma from the Royal Australian and NZ College of Obstetricians and Gynaecologists. His special interests in medicine include obstetrics, anaesthesia, aged care and palliative care. He has been in the obstetrics game so long he is now delivering the babies of former babies! Over the years, Ian has been actively involved in the Geraldton Community, and has been a member of the Rotary Club of Geraldton Greenough for over twenty years and a past president. 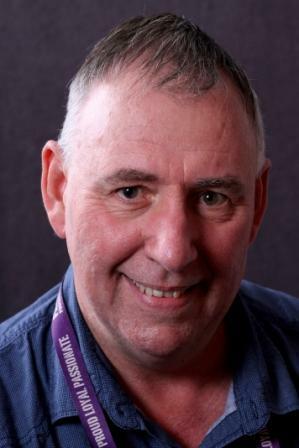 Ian is Chairman of the Midwest GP Network and the Geraldton Hospital Medical Advisory Committee. He has spent some time as an actor and director at Theatre 8, and is a very keen photographer. Grandparenthood has added a new dimension to Ian and Di’s lives, necessitating frequent trips to Perth! They are passionate Fremantle Dockers members, very obvious from the purple décor and paraphernalia in Ian’s office! He is still hanging out for that elusive premiership…! GO DOCKERS! 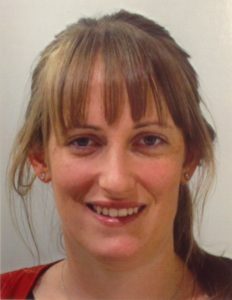 MBBS, Dip Child Health, DRANZCOG Dr Philippa Gray is a graduate of the University of Western Australia. She completed her internship at Fremantle Hospital and gained a range of experience as a doctor whilst working in Perth, Albany and Broome before moving to Geraldton in 2017. She is currently completing the final stages of her diploma in Obstetrics & Gynaecology after being trained at King Edward Memorial Hospital for Women in Perth. She enjoys all aspects of general practice, including delivering babies and providing antenatal and postnatal care. Pip grew up on a farm in the Perth Hills. In her free time she enjoys horse riding, social sports, the outdoors and camping. 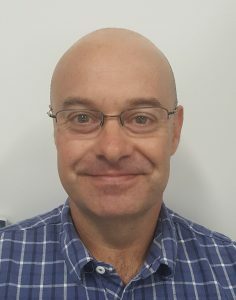 MBBS Dr Dean Klimczak is a graduate of the University of Western Australia and has completed certificates in skin cancer and lifestyle medicine. Over the last 17 years, Dean has gained broad experience in a variety of roles in Armadale, Fremantle and Royal Perth hospitals, as well as having worked in GP clinics in Tasmania, Toodyay and Kwinana. Dean likes the variety and unique challenges of General Practice and in his spare time he enjoys walking, cycling, going to the gym, reading and music.